I can’t figure out how to make this meme larger…but friends, THIS WAS SO ME ON SUNDAY NIGHT!!! Okay, I have a lot to say today about my first Instant Pot experience. I really wish I was sitting down in my kitchen with all of you right now. I feel scatterbrained, excited, a little cautious, optimistic, overly caffeinated and very hyper right now. I just think it would help if we were face to face. Here’s the deal…I finally bought an Instant Pot. Now, let’s rewind. For like over a year now, you and I have discussed whether or not I needed one. I got a ton of feedback in THIS POST and after I read through all of the comments, I decided the Instant Pot WAS NOT FOR ME. But that was November. Fast forward to last week, and I bought one. I bought THIS ONE on Amazon after reading all of the reviews and polling my friends who already owned one. I also bought THIS Instant Pot cookbook to see me through my first attempts. You see, after reading that post, I felt like I wasn’t an Instant Pot girl because I like my meals to be prepped and ready to go early in the morning. This makes me the perfect slow cooker girl (cough, cough, you can buy my slow cooker book HERE!). 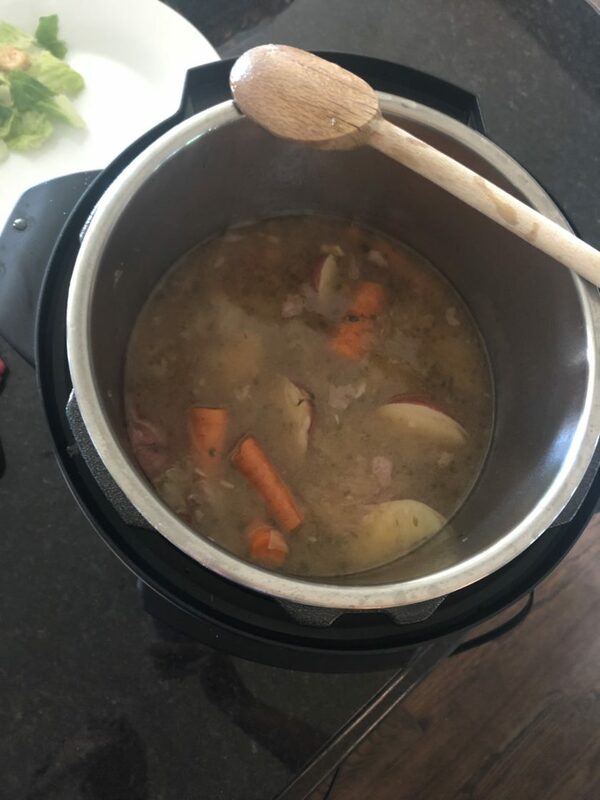 According to many of your comments, you know that I’m a morning girl and a crazy busy after school with homework, speech, sports girl, so the slow cooker is a natural fit for me (my exact slow cooker is HERE). BUT nearly a year after that post, people are still telling me all the time how the Instant Pot changed their lives. And call me crazy, but I want my life changed too!!!! I’m telling you…from church to school to random emails from blog readers to family…everyone keeps telling me how this pressure cooker is going to totally rock my world. Guys, I want my world rocked! Raising a big family is no joke and if this thing makes my life easier, than I want a piece of the pie! And the minute it arrived, I was nervous. What the heck? Why am I nervous???? I don’t know? BUT I WAS LEGIT NERVOUS!!!! I sat down with my new Instant Pot manual and the new cookbook and started reading. Like the nerd I am, I marked pages, underlined and highlighted passages. And you know what I felt after? MORE NERVOUS! Reading through the cookbook had me quite confused. So many of the recipes had a long list of things to do before you turn the Instant Pot on. So, yeah, your Beef Stroganoff cooks in 18 minutes but there was 30 minutes of prep work when I can make my own version of Beef Stroganoff in the slow cooker with nearly no prep. The book didn’t help me. After reading it, I was very close to shutting the book and becoming one of those sweet readers of mine that say “I bought an Instant Pot six months ago but haven’t taken it out of the box”. GUYS, I GET IT NOW! I did not want to be a quitter though, so I went back in the book and was determined to find me a recipe to make using my Instant Pot. I decided to land on their Sunday Pot Roast. I bought the ingredients and made it Sunday night. My plan was to begin making dinner at 4:45, so around 2:00 I opened up my Instant Pot and started sweating it out. I decided to do what all rational people to and head to YouTube for support. On YouTube, I found this video by the sweet Six Sisters and watched it. Then I joined their Instant Pot FB group. Hahaha! At one point, I’m pretty sure Andrew asked me why I was studying so much to make dinner. Hahahaha! I was NERVOUS! At 4:45, I was ready to go. Now, there are several steps you take before actually turning on the Instant Pot and walking away, but they’re all done inside the pot. The Instant Pot has a saute feature, so you actually cook up your beef and onions right inside instead of doing it on the stove and transferring it to the Instant Pot. …and now, the other side. I followed all of the instructions, set the timer for 60 minutes per the directions and walked away. …the potatoes and carrots were added the last 10 minutes. …and here I am, plating the kids’ food! Friends, MY ROAST WAS SO GOOD! It didn’t finish cooking and was ready to eat until 6:15…so, it took an hour and thirty minutes, BUT, the roast was exceptional! I really, really liked it! All four kids plus Andrew ate every bit and loved it too! 1: The roast was so good that it inspired me to keep trying Instant Pot recipes. I was on the fence until I tried my dinner, but it really was delicious, so I’m going to make something else soon. 2: Cooking is very relaxing to me. I love to turn on my music, light my candle and relax while I make food. This wasn’t relaxing. I’m hoping that over time, this becomes so natural that it too is relaxing…not stressful. 3: That release valve on the top of the Instant Pot is supposed to be loose and wiggly. Yeah, I thought it was broken and had to YouTube that too. 4: The Instant Pot is dishwasher safe, but this time, I hand washed my lid. I was afraid the ring inside would get messed up in the dishwasher. Do you guys put it in there? I was hesitant, so I hand washed the lid and put the bowl in the dishwasher. 5: I think based on all of the “it changed my life” talk I’ve heard, I expected everything to cook faster with less prep. I didn’t find this to be true. I’m okay with it taking longer, but I really think sometimes this product is sold as “dinner in an instant” and it wasn’t. It was dinner in an hour and a half. I mean…dinner was delicious and I think that’s the main point, right? Okay, all of you Instant Pot people, please chime in. I want this to change my life. Tell me how 🙂 . I wash the entire Instant Pot by hand. I’ve heard you should buy a second ring – one for spicy and another for mild foods. I haven’t done so yet, but should. I cook Indian food in it and the scent of the spices linger on the ring. The thing I like the most about the IP is the versatility. It’s many appliances in one. I actually mainly use it as a slow cooker. I needed to replace my slow cooker and picked up the IP. I agree that the pressure cooking times are misleading. We store the ring in a ziplock bag of baking soda. Eliminated the smell. BRILLIANT! Thank you. Trying this. I say Insta Pot too! I told my husband the T is silent! I’m with you, Erika! I just now realized I was saying it wrong! I’ve totally been calling it an Insta Pot too! Ha! Me, too! Even after reading the whole article I didn’t realize I was wrong until I saw your comment. I use mine for prepping chicken for the week. It makes the chicken so moist and flavorful. I will never go back to boiling the chicken on the stove or using the slow cooker. I remove the silicone ring after every use and wash it with soapy water. It can take up an odor. You can also buy additional rings. Would you share your method for cooking chicken this way? I’ve been looking for a simple method and haven’t found one I love yet. I season the chicken and wrap the chicken breasts (or a couple chicken thighs) in parchment paper, put the packets on the trivet with a cup of water in the pot. Steam for 15 min for breasts, 12 for thighs. If frozen, I add a few minutes (this is the biggest time saver!). Chicken turns out moist and delicious. I even precook my chicken for tacos this way as it is easier to shred and then saute with seasoning than to cut up raw chicken and saute and season. Here is my method for chicken in the IP. SO easy! I, too, thought it would be dinner in an instant and it’s not. Some of the recipes take a long time!! Some recipes are great and quick- those I like. I’ve used mine a handful of times, but I find it easier to cook in my oven or slow cooker. I , also, would wash my lid. I know of a lady whose ring in the lid wasn’t on correctly, this the pressure wasn’t correct and when she went to take it off the top literally blew off hitting her in the shoulder and requiring her to get surgery. This made me LOL! Hahahaha! Oh my gosh, I just used mine for the first time on Monday! My hubby and I were doing the test run together and when I wasn’t looking, he poured the water inside the pot without the bowl inside🤦‍♀️!! I was so worried it was going to explode while cooking our dinner! We made a simple cheesy pasta so it only took like 15 mins total! I think when cooking with raw meat the meals will take a lot longer! Yes! I feel the same way about my instant pot. I mean i like it but it hasn’t changed my life. And it’s really not “instant”. More like “less time than a crock pot”. However, it has saved me a few times when i forgot to defrost the chicken. I’m that case it’s been helpful. I wish when recipes said that it takes 20 minutes (for example) it would also include how long it takes to come to pressure and then how many minutes it takes to release pressure in ththe cooking time. That would helpful in planning when to start cooking. That’s actually a really good tag line! I think many of the recipes would be faster on the stove top, but “less time than a crock pot” rings true! Hi – I don’t know if anyone left this tip or not (I read through the comments to see, but oh so many of them!!) – you can get your IP to come to pressure faster if your liquids are already hot when you put them into the pot. I did see where someone posted that if you saute it will come to pressure faster, and it will help as well. But, what candle do you light while cooking? I’ve always heard not to mix smells… but I love canceled as well! My favorite candles are from a company called Circle E Candles! I’ve had mine for about a month and love it. I definitely understand the nervousness part. Now I haven’t done many full meals in it as of yet. What I do love it for is hard boiled eggs! I will never make them on the stove again. Fast, simple and easy to peel, plus they turn out perfect every time. I’ve also done baked potatoes, sweet corn, rice and quinoa – all perfect. I use mine more then the slow cooker but I never expected it to be microwave fast. Steamed sweet potatoes are amazing in it. Rice and beans are so easy in it. I love it for cooking frozen meats. I know many people do that in the slowcooker but you aren’t supposed to do it! When I am stocking my freezer it is nice to be able to cook something in 30 to 40 min vs all day. Nothing has ever taken me 90 min but then we tend to eat more lean meats, veggies, beans etc. I use pork tenderloin for my pulled pork sandwiches and that is quick in the instant pot and I think it actually tastes better. My turkey meatloaf does not, that is only for the oven! Oh and I’ve made YUMMY cream brûlée in the instant pot- one of my husband’s favorite desserts! I went through similar stages – I was not interested in having one, but so many people said it was life changing, so I bought one. I used it a handful of times. The food was good, but our favorites were things I could make in my crockpot, too. So, I felt like it was just another appliance taking up space. This sounds so silly, but I felt a little bad that I didn’t love it and it didn’t change my life for the better. I have girls in 1st and 4th grades, and after work/school it took more time than I wanted to prep our meals. I ended up selling it on our town’s Facebook buy/sell/trade page. The person who bought it already had one and loved it so much she wanted another…I just went back to my crockpot and all is well. I got one a year ago and feel exactly the same way. Used it a bunch at first and came to realize my slow cooker felt so much simpler. Since I’m a planner like you. So now it sits taking valuable shelf space and I’m contemplating selling it to a friend who thinks it will be her miracle. We use ours to cook rice. Its not necessarily faster, but seems to cook more reliably than the stove. We’ve also made some fall off the bone delicious baby back ribs in the instant pot! I get the disillusionment you feel. For my family, including my daughter in college who has one at her apartment, being able to take frozen corn and have it cooked and ready to shred in about 20 min is, indeed, a loose changer! Now that’s not all we use the Pot for, but it is a HUGE perk! Can’t wait to see what other recipes you try! Well I just stared using the slow cooker, and that has totally changed my life. I love that I can toss everything in there in the morning and walk away. Try eggs in one t, the peels come off so easily! If nothing else, it’s a great hard boiled egg cooker. I was hoping for a life changing experience but I didn’t really feel it. And although it does cook a roast quickly or get a good stew done in minutes i just never fell in love. And after a while everything that came out of it tasted the same. I wanted an Instant Pot so badly. I received one as a Christmas present. It’s still in the box sitting in my garage:/. I am absolutely terrified to use it. I think my fear stems from childhood. My mom was a big believer in the pressure cooker. She made amazing food in it. It was delicious. However, one time when she was making stew, something went awry with the little jiggly thing on top. Almost an entire pot of stew came out of the top erupting and spewing like Old Faithful. It was awful. Stew was dripping off the ceiling and running down every cabinet in the kitchen. My mom and my grandma wiped and scrubbed for a very long time. For the rest of the time in that house, the ceiling had a bit of an orange tint. Ew! My poor mom raised a family pre magic eraser. After all of the prep and cleaning there was no dinner for us to eat. With that sight forever etched in my mind, I cant bring myself to unbox the Instant Pot. Maybe some cold winter day i will face my fears and give it a try. I’m just not ready! Oh my gosh! I could have written this comment! The whole thing! It’s so nice to know I’m not alone- lol. The only difference is mine is in the basement… cheers! Haha! There is safety in numbers. Good luck, Jessica. I soak my ring in a ziploc of vinegar overnight. Then, it goes in the top rack of the dishwasher the next day. This cuts down on the retained smell. I made applesauce last week in 8 minutes but the ring ended up with a really strong cinnamon scent. I find that it’s really only worth the hassle of coming to pressure and then cleaning the ring for meat that tenderizes and shreds (pulled pork, chicken, beef). I did make homemade broccoli cheddar soup this week in under 10 minutes (plus 10 minutes to pressure). But things like rice and risotto seem like more work than they’re worth in the IP. I usually hand wash everything but the ring. I’ve heard you can make delicious cakes. Oh, and it makes great, easy-to-peel hard boiled eggs. Just make sure you do quick release pressure or you’ll end up with really over-cooked yolks. Sadly, right now I only use mine to make rice. We had a rice maker that used to take 45 minutes and this makes rice in about 10. It’s great for rice but I need to branch out! Thanks for your review!! I pride myself in my prepping and actual ‘cooking’ of our meals. I love my crock pot but can’t bring myself to get an instant pot. My friend is always pressed for time so she bought one and hated it. That sealed the deal for me! This is me! I bought one earlier this summer, read the manual and the book, and was legit confused and nervous. I’ve tried hard boiling eggs three times and they haven’t been as easy to cook/peel as my traditional stove-top method. So I put the Instant Pot on the shelf and haven’t taken it down since. I’m hoping to read the comments here later and be convinced to try it again with a real recipe! I have had mine since Christmas. I find it is a lifesaver for meal prep. I can cook chicken and use it all week. I cook boiled eggs and they are so easy to peel, even the farm fresh eggs. One of the biggest reasons I love it is less dishes, everything happens in the pot, including reheating leftovers. I used to love my slow cooker but I found things would get mushy and a carrot would taste almost the same as the potato but with the instapot nothing is mushy and everything keeps its original flavours. Pinterest and google recipes rather than using the manual!!!!!!!! Seriously this thing changed my life and I won’t ever go back to a crock pot . Conflicted is a great word for me too! I found it hard to find recipes as well that were healthy! Most recipes I felt comfortable cooking always had pasta involved. THANK you for todays blog. I am going back and forth if I should get one. I too, thought it would have dinner “in an instant”. Teaching and three kids sounds like crock pot is still for me. I want to be able to have it ready when we walk in the door. Not to be having lots of prep. With going back to school, I prep by putting all ingredients I can in a ziplock back and then just dump and go to school. On days I have more time, I can do different meals in the crock pot. PLUS, Simmer is my go to book, which is so easy to follow – unlike what it seems other Insta Pot cooks books are. Looking forward to hear more of how it goes with using the Insta pot. Maybe if you write a cookbook for it, I will then feel comfortable using it 🙂 But for now, I am a crock pot girl!!! Enjoy the rest of the week. Happy all had great days at school so far. Enjoy your time with M! I love mine! I make a queso smothered chicken soup (theres a recipe for the crock pot too) quite often in it. It really is great for when you forget to defrost chicken and want to make something in a pinch. I’ve also done pasta dishes in it which is wonderful since it’s one pot you cook in resulting in one thing you have to wash. I’m sure you’ve been all over it already but Pinterest has tons of recipes for it! I bought one and it sat in the box for 12 months. 12 months. I finally took it out. Turns out it had a dent in it. Guess I missed the exchange/return window. LOL! Thankfully it works fine, although I also thought the valve thing was broken because it was jiggly. I have made chicken for other recipes in it (fantastic). Macaroni and Cheese (really good and fast) and popcorn (Fail . . . there are three other ways to make great popcorn, why did I feel the need to do that??). Truth? I’m intimidated by the darn thing. I also know good, smart kitchen people who swear by it (confession: I am not one of those people), so I gotta learn more. Maybe next week . . . .
I’m glad I’m not the only one who doesn’t think it’s life-changing. I have usedine a handful of times, but everything I’ve made in it can beade just as easily on the stovetop, or in the oven or Crock-Pot. Ill try it a few more times and then probably get rid of it! I think the more you use it the easier it is, but really it does all the slow cooker stuff as well so I don’t find it to be a big change. I love how it does rice perfectly in 12 and I don’t have to watch on stove. I make crock pot beef and broccoli in it all the time. I find it cooks pretty fast- usually before the time I allot for it. I don’t use recipes specially made for the instapot. I just do my regular slow cooker meals or use the features the machine has. William Sonoma has some sauces for instant pot right now I’ve noticed! So I have only done 1 meal, also a roast, in mine. It was good but honestly I LOVE the flavor/texture of a roast when it is cooked in my dutch oven better…so we use that instead. My best friend tried it with rice/beans once and it ruined her on the IP. Turned out terrible….so maybe stay away from that? BUT I use mine to make shredded chicken in bulk, THE BEST hard boiled eggs and applesauce. We process tons of apples in the fall, freeze them in gallon bags and then put frozen apples into the IP with a little bit of honey, lemon juice and a sprinkle of cinnamon…..SO GOOD. I have an immersion blender that I use to make it extra smooth once it is finished cooking. Our kids LOVE homemade applesauce that way! Please share your pot roast recipe! I have an instant pot that has been sitting in the box since Black Friday just waiting for me to learn how to use it. I read a something about how the rings could really smell and I think that really quelled my excitement in using it. (Crazy, I know, but stong smells trigger migraines for me.) Looking forward to reading more about your tips and tricks! It’s right there! It’s their Sunday Pot Roast from that Instant Pot cookbook. 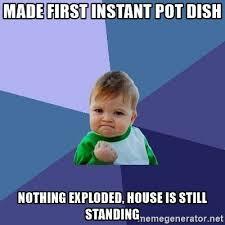 I absolutely love my Instant Pots! I have two…6 qt and 3 qt. If it can’t be made in the IP, then I don’t make it. Keep experimenting with it. Try hard boiled eggs, Two Sleevers Butter Chicken, Nom Nom Paleo’s Kalua Pig. I’ve used my slow cooker one time in the past two years that I’ve had my IP. It definitely changed my life! Same here! I have the 3 qt and 6 qt too and often have them going at the same time (one with rice, one with meat). I also do the “pot in pot” method and make steel cut oatmeal for the whole week on Sunday! Yes to #2! I’ve made a few pot roast/stew type meals in mine, and they’ve come out delicious, but it’s like 90 minutes of INTENSE cooking!! I’d much rather make a pot roast on the stove/oven and have it take a few hours…I like to brown the meat and chat with my family over a glass of wine, pop it in the oven for a few hours and clean up the kitchen etc. When I use the instant pot I’m like “EVERYBODY BE QUIET I NEED TO FOCUS!! !” I may look more into prepping chicken and eggs with it, but unless I’m missing something, I think I’m done making regular meals with it. Bought one on Amazon Prime Day. I was overwhelmed, too, and decided to make something easy for my kids. Try this as a side. You won’t regret it. You should hard boil eggs in the instant pot, it really makes them so easy to peel. Is great if i actually have my stuff together for early in the morning prep —- I’ve made soups in no time at all and love mine!! You have posted about your husband hunting before. I don’t know if you cook with venison or not (If you do, let me know! I could definitely use more recipes! 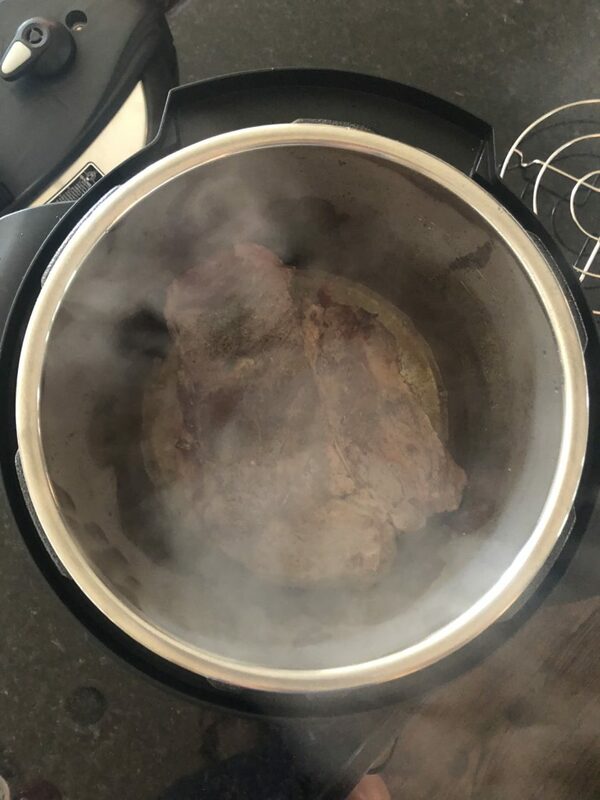 ), but this is where I have found the instant pot to be super helpful-it can get a deer roast nearly as tender as beef. I also agree with hard boiled eggs! Even though they aren’t difficult to make on the stove, they are just SO easy in the instant pot! I mainly use mine to help with food prep. Frozen chicken (12 minutes), boil eggs for the week, baked potatoes (25-30 minutes). Things like this make prepping or side dishes so much easier!! I’ve had mine for a while, and you should definitely hand wash the ring. Mine got warped quickly in the dishwasher. My biggest problem was getting the ring in right. Everything says just push down. Lies. You then have to pull it in towards the little silver ring so it is tight against the silver ring. I ruined three meats before I figured that out. Dang! That’s a good piece of info, Libby!! I started out by boiling eggs in my IP since I was nervous and thought the whole house would blow up! haha It does take a little longer initially but with a little planning, I’ve been loving how quick it cooks my meats!! I do like it, but it is not what I thought it would be. If I use the slow cooker setting, it does not cook very well. I have to pressure cook it first to make sure to cooks thoroughly. I also don’t like that the warm setting does not keep the food as warm as my crock pot warm setting. Needless to say, I still have my crock pot. I was hoping to reduce my number of small appliances. I used mine for the first time on Sunday as well! We just moved and I couldn’t find my crockpot in all the boxes but since I hadn’t taken my instapot out of the box yet (because I have been nervous like everyone else) I was able to quickly find it in the garage among the boxes ha! I was making king ranch chicken for a friend after having surgery and I was so impressed that I could get fork shreddable (is that even a word?) chicken in 15 minutes! I always use your perfect chicken recipe for any of my recipes that call for shredded chicken but this was also a good option as well. I am glad you talked about the saute feature because I did not know that was an option as well, I mean I see the button but am too nervous to try it. ha! You sound just like I did my first couple times using it. I seriously made my friend Lindsey face time me for support- I was a nervous wreck and dinner has never been super fast! I do like how I can get chicken done for casseroles etc really fast but I am still so scared of the entire process. I am ashamed to say I still reach for my crock pot more than my IP. But…Mel with Larson Lingo made me feel like I could do it! I am still a work in progress! I couldn’t understand all the hype behind the instantpot ! I bought 2 different ones ( the crockpot one and the actual instant pot) on Black Friday and I joined the FB groups, read the cookbooks and then promptly returned Both of them! I figured something that had me that confused and stressed out before even opening the box wasn’t “ life changing “ for me! I don’t have an instapot but I want to get one of these soon. https://www.cancooker.com/ They steam your food and depending on the size you can feed a huge crowd. Think super easy shrimp boil. Or our friends made sliced pork loin, sliced ring sausage, corn on the cob, carrots, potatoes, mushrooms all in one pot with some water, French onion soup mix and seasonings. Then they dumped it into a gigantic bowl and we had more than enough for 6 people and leftovers. I love it for roasts, beef and broccoli, hard boiled eggs, cooking frozen chicken and many other veggies. Beans, potatoes even spaghetti squash. Even if you don’t use it to cook your main dish you can use it for side dishes or vegetables. Spaghetti. Spaghetti will change your life. And mac and cheese. And cheesecake. Just do it! This post made me LOL — I was a nervous wreck the first time I used mine! I was convinced something was going to explode!! LOL. I LOVE LOVE LOVE my instant pot. It literally is life changing. I find I can still prep for meals over the weekend (cutting up veggies and meat, etc) and then throw everything in and voila!!! YOu will love love it for soups when the weather gets chilly. there are lots of great recipes on Larson Lingo and also on allrecipes.com! Chicken fajitas, pulled BBQ pork, Mongolian beef etc. I basically use mine as a rice and quinoa cooker. Tried fresh broccoli and carrots in it once and obliterated it. I’m talking mush…..so, I guess you could use it to make baby food. I appreciate the comments about the silicone ring. Hadn’t even thought about it retaining smells. Good to know. Hahahah!! I love this post! I am legit in love with and TERRIFIED of my instant pot. I feel like it might explode at any moment, but here we are a couple years later still standing. I have a sweet, amazing friend here in North Carolina named Lisa Burns who writes a blog called This Pilgrim Life and she has a ton of easy Instant Pot DELICIOUS meals. Check it out! I agree with the commenter above about the hard boiled eggs. I could never get the shell to peel off without taking half the egg with it! The IP made it so much simpler!! Peels perfect everytime! I have been an IP user for a year and a half. I bought the 6 quart one first and then about 8 months later I bought the 3 quart one. I decided I needed the smaller one for rice and yogurt as we are a 2 person family and I didn’t want to have to wait for my yogurt to finish to make dinner. I make yogurt once a week and I love it. At first I had to check the recipe every time but now I just plug it in and go. I have never been able to prepare rice quite right before the IP but now it is perfect every time. It is never an instant meal but it is always a yummy one. I feel like I am still learning and I have messed up a few times. Like forgetting to put the seal on, yep I did that and I scoffed that anyone would forget that. But it was forgiving and I rectified the mistake and all was well. It hasn’t changed my life but it has given me lots of different options and opened my recipe box to new dishes I may have never made. I’ve been on the fence for a long time on getting one. My mom says I should just do it with my busy schedule, but she doesn’t have one so is it really life changing!?! Then my husband comes home this week and a guy from work says he needs one! Haha so we are in the talk again. Which size did you buy? Would you recommend buying the book or not? I felt the exact same way at first! Now I tend to make an IP recipe 2-3 times a week. I absolutely love it for corn on the cob, potatoes, and hard boiled eggs. It is really good with meat as well. I would say it makes it cooking vegetables much more simple, tasty, and nutritious (it is a steaming process). For vegetables that are slow to cook, use the instant pot! It is so much quicker and easier and doesn’t require all the checking & stirring. Bigger dishes and meat is faster than a slow cooker and I think even tastier, but it is not an instant! I usually start to make those meals at around 4: 00. I absolutely loved the cookbook called Master the Electric Pressure Cooker by Marci Buttars and Cami Graham. just this week I made a recipe for Elderberry syrup (health-boosting) and one for burrito bowls from the book that is absolutely delicious! 😊 Hope this helps! I am so excited to see the recipes that get shared on this post today! I have had mine for a few months now, and I have only used it three times. I feel lost still…I don’t understand the natural vs quick pressure release!! Glad to know I’m not the only one who’s been struggling! Take the silicone ring out and wash it in the dishwasher and store it in a gallon ziploc with baking soda! Search this on FB, she’s a Canadian older lady who developed here own recipes and they are all great: rootitoot instant pot recipes & help. I don’t find it’s easier for everything but it serves a good purpose! I’d have to say, it wasn’t life changing for me either. I think I would rather stick to ’30 minute meals’ or crock pot recipes! I’ll be curious to see what you try next and how it goes for you, though. But I get it – the Instant Pot has a steeper learning curve than a slow cooker and requires a little more skill in the kitchen. I’ve had mine for a year and a half and feel like I’ve finally gotten the hang of it. I can make a killer homemade Mac and cheese that’s tastier and faster than boxed, we love roast and pork roast in there, I can cook FROZEN chicken breasts in 30 minutes without defrosting, I have a pork rib recipe that’s better than on the grill. So hang in there! It takes some trial and error and you might have a few duds but that’s kind of the way it goes with learning any new cooking technique! My tip would be to only use recipes from trusted sources (like a cookbook or a reputable food blogger – This Old Gal is great) because I’ve tried a few “duds” by following random links on Pinterest or comments on Facebook. Can’t wait to hear what you think as you try new recipes I’m sure you’ll get the hang of it eventually if you keep trying! Thank you for this post! I thought I was the only one who isn’t a fan of the Instant Pot! By the time I prep the food, the pot heats up, then comes to pressure, then cooks then you release the pressure…. ugh! Not only could I have had dinner in the slow cooker and be on my way- I could have made dessert too!! I hope you like it and can convince me to pull mine back out. I love my Instant Pot. I like you was intimidated by it at first. I also bought a cookbook which I didn’t find to be that helpful. I just started trying different things in it and have learned along the way. I love it for sweet potatoes, soups, cooking chicken breasts from frozen to done in 30 minutes. Of course, I don’t have a family to feed all the time as I live by myself so I can see how it would take longer if you put more in it. I’ve also made chicken and noodles in it and I roasted a spiral sliced ham. (I had to cut it in 1/2 because I have the smaller Instant Pot) Some things I have made I liked better than others but I hardly use my oven anymore. Between my Instant Pot and my Air Fryer, I can fix just about whatever I need. Good Luck! I’ve found it helpful during meal prep for making shredded chicken quickly from frozen, hard boiled eggs, shredded pork, etc. Nom nom paleo Kalua pig is amazing! Against All Grain’s IP Thai chicken stew has become one of our go-to recipes, I just prep the sauce ahead of time. But I also haven’t gotten rid of my crockpot or rice cooker either. I do appreciate that my house doesn’t smell like crockpotted meat all day long. I like it, but not life changing. Yeah, I dont have one either so no help. I dont need something else on my counter that I can basically do with the appliances I already have. The only thing I hear all the time is “It makes frozen chicken in blah blah time”… I dont eat meat so I think it would be useless to me. An expensive veggie steamer. I agree that the cook times can be misleading since it has to get up to pressure and then sometimes the recipe calls for it to naturally depressurize, which takes more time. I like to use it for things that I would otherwise need to “babysit” on the stove. I don’t have to worry about rice or chicken boiling over and making a mess on the stove. I love it for making bone broth. So easy and quick. 30 minutes! Hard boiled eggs are super easy to peel when cooked in the Instant pot. Meat dishes do take a little longer, but overall are very tender and tasty. I’m totally the same way you are. I’ve had mine for about 2 years, and the only “life changing” thing it’s done for me is how insanely EASY it is to make mashed potatoes! It’s worth it’s weight in gold for that reason alone! No more watching potatoes boil on the stove and having the water boil over and make a mess! I chunk up about 4-5 potatoes, add a cup of water, and press manual for about 6 minutes. Within 10ish minutes, BOOM…potatoes are done and ready to be mashed all in one pot! 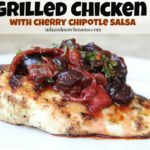 Frozen chicken breasts are super quick too! Other than that, not super sold on it. Maybe it’s just because I’m used to my slow cooker! LOVE my insta pot 🤗 any recipe you need you can google!!! I choose one with great reviews! Don’t fear the pot! Chicken in 20 min! Most recipes use manual settings, that’s the best way!! I am the opposite of you…I am not a morning person, and I’m struggling hard to get up and out the door by 6:45 every morning. Adding in putting stuff in the slow cooker just doesn’t work for me, so the instant pot has made my life so much better. Plus, since I am away from my home for 10 hours a day, a lot of the things I would put in the slow cooker were kind of overcooked by the time we ate them. With the instantpot, I can throw what I want for dinner in the pot with a minimal of fuss and dishes when we get home, run errands or go to yoga or do homework or sit on the couch and veg. It might take an hour and a half, but dinner is ready without me doing much more after. Also, it makes amazing hard boiled eggs (I almost burned down the house twice trying to hard boil eggs, and I’m a decent cook) and mashed potatoes are delicious in the pot. This Pilgrim Life blog has a great variety of IP recipes. She also does Facebook live videos of recipes, and is currently writing a cookbook. I do not have an IP yet, and cannot decide if I want one. I like leaving for work and knowing dinner is going in my crockpot, especially with kid’s sports after school. That way it is done when we all get home for dinner. I don’t know, I would be afraid to leave while the IP was running. I just sold my IP because I never used it…..I agree the “instant” part is oversold. But I’m glad your roast turned out well! I was so terrified of mine when we bought it. It took me some trial and error to find the “right balance” for us. I still use my slow cooker, but there are definitely some favorites that we have in the Instant Pot. My kids LOVE mashed potatoes from it, hard boiled eggs, chili mac (favorite recipe), salsa chicken, ribs, etc. Sometimes the “time-savings” for me is that I forget to prep stuff in the morning, can throw it all in the pot and let it do its thing, and help people with homework/sports prep/etc while everything cooks. Removes the stove top work for me. Don’t give up. You’ll find your things! I have had my IP for a little over a year and love it! I have found that there are certain things that are just easier in the IP, like spaghetti, mac and cheese, and corn on the cob. I have made some IP freezer meals that I can throw in and cook during the week and that has really saved time! You’re right though – dinner isn’t done in 30 minutes, it does take longer. One thing that I have read is that if you turn on the saute function while gathering and preparing ingredients, it will come to pressure quicker. I made home made homemade hamburger helper last night in one pot and it was so good!!! It actually took less than 30 minutes form prep to table. There is another IP Community FB group that has tons of helpful info! I can’t wait to read everyone’s thoughts! You summarized my exact thoughts and feelings about the IP. It’s not my “go-to” but it’s a nice option. My husband bought me one for Easter this past year, and I was just as nervous! So I made him make the first meal so I could observe 🙂 The first thing he made was Corned Beef and Cabbage. Oh my word. That was a game changer for me! I had never had anything so good. Ever since, I’ve been experimenting and do agree with the others that hard boiled eggs are really good! I’ve also been making beef and broccoli, risotto, fingerling potatoes, beef stew, shredded chicken, and even tried steamed artichokes! I’m actually making pork tenderloin tonight in mine 🙂 I definitely wash the lid and ring in the sink, and if I’ve made something particularly smelly, I try to let the lid air dry some before putting it all back together to store. I will say that recently the toggle release thing on mine came off, but was still on (if that makes sense ha!) and I didn’t realize it until it was building up steam and the steam was coming out of the toggle! I tried to turn it, thinking it was on the release setting, but it went in circles. I had to stop the cooking, take the lid off, and push the toggle back down. Not sure how that happened, but now I check the toggle and ring before cooking. Have fun experimenting! When cleaning, I pull the ring and put it on the top rack of my dishwasher. Never any problems. I always rinse the top and let it air dry. Buy more rings through Amazon. Buy colored ones and use the clear one for meats and the colored one for desserts because the smell of what you cook always lingers in the rings. I have cooked egg bites, cheese cakes, corn bread, etc. I really do love my instant pot. Hard boiled eggs are just the best in this thing. There are some great cooking inserts to buy on Amazon- the egg bite/brownie bite insert, spring form pan, etc. I also just bought small pyrex cups to make small cheese cakes too. Enjoy! Can’t wait to hear about more of your recipes! I love making hard boiled and soft boiled eggs in my IP, and corn on the cob and potatoes are fast. There are many recipes that you can just toss your ingredients in and walk away! Have fun cooking! PS- Shay. You have to make homemade refried beans. They turn out amazing!! So we got one as an unexpected Christmas gift from my in-laws. It terrified me and I wanted to return it but my husband thought it would be cool and said we should keep it. In order to prove his desire to keep it, he looked up a recipe and bought all the ingredients. Then, wouldn’t you know it? The night we were supposed to use it, he had an unexpected business trip and I was left to handle the IP for the first time … alone! I thought the house was going to explode! I was so terrified that I decided to make dinner during the day while the kids were in school because I didn’t think I could handle the stress with two kiddos running around – hah! Actually, it turned out great and that same recipe is now in a regular every-other-week rotation! I’m more of a morning person too because of the evening activities so I do my IP recipes in the morning just like I would the slow cooker and then set it to “keep warm” all day until we’re ready to eat in the evenings. The best thing about the IP is you can use it as a slow cooker, or you can use it as a “faster cooker” to turbo speed your regular slow cooked favorites. And it’s dishwasher safe! My slow cooker is not. 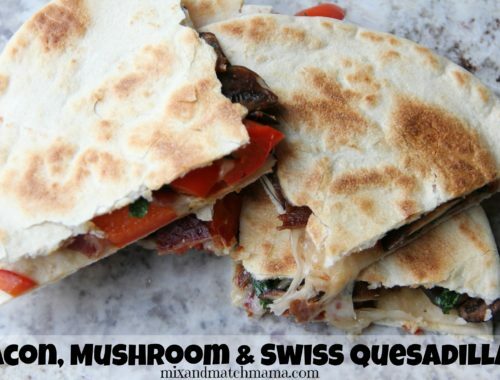 My favorite IP recipes are from Nom Nom Paleo! 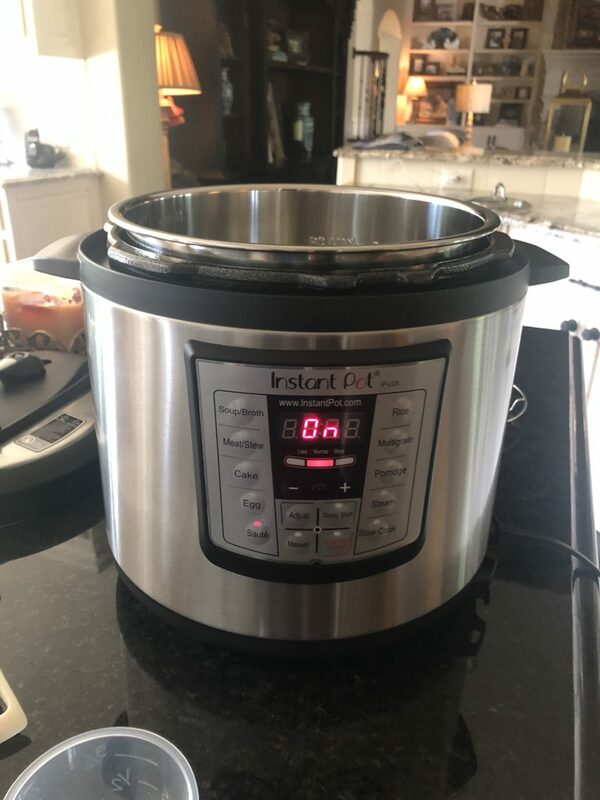 I had my Instant Pot for 6 months or more before I ever took it out of the box, now it sits on the counter and I use it once in a while but it inst my favorite. I do however really like boiled eggs in there and the most delicious shredded chicken. I also make Mississippi Roast in there but I don’t saute first I just throw everything in and cook it. If you are interested should follow *Instant Loss* on IG. Brittany Williams is her name and she lost a ton of weight and cooks literally everything in her IP. She has a website too. She does mostly whole, clean foods but she loves to cook like you so I think you’d love her content! Slowly, I’ve added some pressure cooking things. There’s a one pot instant mac and cheese – not wildly faster than stove top, but less hands on time and it’s really tasty! And RICE. Perfect rice, every time. Always a one-to-one water/rice ratio, no matter what type of rice, and you just adjust the time depending on rice type. It’s always better with natural pressure release. The longest rice has taken me has been 20 minutes total, and that was a pretty big batch! https://greenhealthycooking.com/instant-pot-rice/ Scroll to the bottom for the time required for each type of rice. Rice cookers work great and are super simple, but again, I like that it’s just ONE large item in my kitchen. I absolutely love my Instant Pot!! I too was so nervous to try my first time, but now I use it all the time!! I do not cook eggs in mine, I find boiling eggs on the stove so much easier!! I do wash my lid by hand, and having extra rings is a plus! (Amazon has them, but make sure they are for the Instant Pot)! Also, I have found with cooking meat, always use the slow release method, (much tender meat)! There are so many recipes on Pinterest and the FB Instant Pot community page, you’ll never run out of ideas! And the ribs are to die for!! Enjoy!! OK so after reading all of these comments, I am the minority. But my instant pot has changed my life and I use it 3-4x a week. Anything I can put frozen chicken and brown rice into, and have it cooked in 22 minutes is a friend of mine! It was a little overwhelming at first but I made a couple things a day for a week until I got comfortable. I still need a recipe to know times but with Pinterest that hasn’t been a problem. I have not used my crock pot since I got it. I just take a 6 hr recipe on a crockpot and set it to 20 min for the instant pot. Hope that helps! That roast looks DELICIOUS!!!!! I could eat roast and potatoes once a week for the rest of my life!!!! I still love my slow cooker more than the instant pot but I love the instant pot for additional prep (without turning on oven!) so spaghetti squash, baked potatoes, corn on the cob, etc. Also nothing beats hard boiled eggs In the instant pot: 1 cup of water, set rack in, then eggs on top of rack, 5-7 mins manual, 5 mins slow release, 5 mins ice bath… so good every time! Also: search for cheesecake #17 in instant pot…. life changing cheesecake!! My mom bought one and decided she just doesn’t want it, so gave it to me. I had high hopes of trying it and even pinned some yummy looking recipes. It’s still in the box in my formal living room. The hubster and I are empty nesters, and it just doesn’t seem worth the effort for the two of us. I too was thinking shortened cooking times since we both work two jobs, but it just doesn’t seem worth it for just us. garden tomatoes to make marinara. That was life changing! Before I boiled water to dunk the tomatoes in and have an ice bath ready to blanch them, then I peeled them by hand. Now with the help of the Instant Pot (and a food mill), I just threw in the tomatoes whole or cut so they were all equal size and set the Instant Pot for 20 minutes. Then ran them through the food mill and I had tomato puree ready to cook. Now I did cook the sauce on the stove top, but am definitely going to find an Instant Pot recipe for that step as well! I’m still a Beginner at the Instant Pot. I bought one for Christmas 2016 and never even opened it! I actually just sold it to a friend!! I am so glad to read others aren’t as in love…when I read the things it cooks well, I honestly think I cook those easily enough with either a stove or a crockpot and I kept reading about how you had to do these “pressure tests” before you even use it…ain’t nobody got time for that! 😉 I’m sure if I had ever used it maybe I would know but I don’t get the “life changing” stuff either!! I’ve had an Instant Pot for a couple of years now but much like you, think a slow cooker is easier for main course type things like roast and stroganoff. Although Our Best Bites has an amazing Instant Pot BBQ Ribs recipe BUT what I use my Instant Pot ALLLLL the time for is hardboiled eggs, mashed potatoes (Our Best Bites website has the best recipe), baked sweet potatoes and spaghetti squash to use in place of pasta. It makes all of those things SO easy. I borrowed my friend’s instant pot and used it for about a week before I decided it wasn’t for me. I just don’t get the hype. I’ll forever be a slow cooker girl. I have an instant pot I got it Black Friday in 2016. Honest to God, it has not been opened. I’m still stuck on my crockpot bc I just love it so much. And hello…crockpot liners changed my life! I’ve had my Instant Pot since Black Friday and I let it sit in the box for the first 3 months. The first couple times I used it I totally stressed out, but it gets better! Yes, it takes a while to come to pressure, but once I started factoring that into my cooking time it works for me. I have found it actually makes my mashed potatoes quicker than a pot on the stove! So glad you are talking about this. I have had one for 2 years and its still in the box!! Im scared and have 4 kids and i don’t have time to figure it out! Ahhhh! But i need the help too! So…my mom is like you, cooking soothes her. But when she recently did an 8 month Reno over her kitchen she had to buy an instant pot or else my parents have wouldn’t eat! I think the instant pot is good for something like that for sure…I am still on the fence though! I love coming home from work with my food in the slow cooker and my whole house smells great!! I’ve had the instant pot for over a year and I’ve made maybe 5 recipes with it. I just really prefer my slow cooker!! I think the instant pot is too much prep work and such! Maybe I’m doing it all wrong and haven’t found great recipes yet, but it sadly has not changed my life.. haha.. BUT now I want to know all about the air fryers people are raving about! Haha!! I’m not so good at planning out our dinner so I was often left with frozen meat that I didn’t want to have to take the time to thaw – in comes the instant pot! I love that aspect and yes, that changed my life (maybe I’m weird). also, for me not being a planner, I hate going to the grocery store on my way home after work and then even thinking about having to cook it! Again, the instant pot changed my life. So even if it doesn’t necessarily cook “faster” – I don’t have to do a whole lot but maybe brown the meat and then throw everything in. To me that too was a life changer! I find myself cooking more home cooked meals than before. As I working parent, a lot of times the crock pot doesn’t work for me during the week but we use it a lot on the weekends. We use the Instant Pot a lot during the week. One you can use frozen meat which is a game changer and second you can leave it cooking while I pickup the kids from sports. Sometimes its not much faster than using the stove but I love that I can leave it while doing other things. I love both my slow cooker and Instant Pot but for different reasons. I have had mine since Black Friday last year and have used it about once a week since. There are really simple ‘dump’ recipes out there that are so easy and good! Hi! Love this post- and made me realize I think I’m gonna hold off on buying one. So thank you for helping me make that choice :). I’ll let you do some more experimenting then I’ll get one ;). But wanted to ask you what scents of the e candles are the best?! I’m gonna buy some but obviously can’t smell them before so I’m gonna take your word and buy what you suggest! Thanks Shay! You’re amazing! I was given one as a gift. I can’t stand mine!! I think they smell bad. I’ve taken the whole thing apart to wash, but it still smells like an Indian dish I made a long time ago. I wish I could donate it, but since it was a gift I feel like I have to hold onto it. We LOVE our instant pot! We use it several times a week. It makes the best.rice.ever! My stove top rice skills were inconsistent at best, sometimes perfect, other times soupy or sticky. Instant makes perfect rice every time. We also use it for shredded chicken for tacos or soups. One of our favorite recipes is chicken burrito bowls, you dump everything (rice, chicken, corn, black beans) at once and your meal is done is less than 30 minutes. It’s a house favorite. We’ve made ribs and barbarcoa as well, we love these but they do take longer too prep/cook. We’ve only had one IP FAIL and that was Lasagna, the good news is IP will turn itself off and tell you “burn” on the display before it becomes a mess. Our absolute favorite thing to make in our Instant Pot is POPCORN! Yes, popcorn. It’s amazing. You will never eat popcorn another way. Can anyone tell me what brand is best for having a pressure cooker? I wanted instant pot but was given a crock pot brand pressure cooker. Should I exchange it or is it very similar?? I have the same question! Not sure about the non stick cooking surface of the insert for the Crockpot brand one. I like the idea of the stainless steel insert for instant pot that can go in dishwasher right? I recently brought my instant pot on a cross country road trip. We didn’t want to eat out for 2+ weeks for health and $$ reasons. It was amazing that we could have a home cooked meal each night. We just popped it in a little soft rolling cooler and would roll into our hotel/airbnb. It was incredible! This recipe is one that changed my mind when I first got it: https://thegirlonbloor.com/instant-pot-chicken-pad-thai/ It’s amazing that everything can cook so evenly in there. I’m over here sitting with Erika ….. for so long (like always), I’ve called it an Insta Pot. Seems like an appropriate name to me, especially if it’s not really instant. I was going to buy my daughter one for Christmas last year, but she’s a Crock Pot girl all the way, and like you, I was afraid she might blow the house up. The roast looks great, but I would probably use the same recipe in the slow cooker myself! There’s nothing like the smell of a Sunday Pot Roast cooking when you get home from church. Takes me back to some of my favorite childhood memories. Perhaps they should make that a candle scent – lol! Kudo’s to you for putting the effort in, and giving it a legit try! And last, the best fresh green beans with bacon. You do the bacon before in saute mode, then put in the strainer, trimmed green beans and a cup of water. Top with bacon and drippings. Set for 4 minutes and do a quick release. PERFECT SIDE DISH. I’m PASSIONATE about this topic, so feel free to reply or ask questions or whatever. In my opinion, the IP is a little bit misunderstood. The biggest pros are the concentration of flavors, the texture of what you’re cooking and the time you save, but it takes practice and good recipes! I’ve been using mine for years and I’ve never had a problem. It just frees me up to do other things. Good luck!!! I have been on the fence about getting an Instant Pot too. I LOVE a slow cooker, but as a working mom, it just doesn’t work out most of the time. Even with a slow cooker with a shutoff timer, my food is still too dry sitting on warm for a few hours. The 1.5 hours of an instant pot sounds enticing, but that still puts my dinner a little late. I’m still on the fence. Thanks for this post. This post made me laugh. I am slow cooker girl all the way, so I’m no help. BUT if you write a instant pot cookbook I might get on board. I’m sold on mine because I think the food just tastes better than slow cooker recipes. I really love mine! I think you’ll fond it gets much easier 🙂 You’re right that the food isn’t instant – but it’s quicker than stovetop! And it’s great for making beans/lentils which normally take so long. You can stick it all in the dishwasher, but put the rings in the top rack. And definitely purchase more rings – one for meals, and another for milder things like yogurt/desserts if you plan to make those things. They absorb smells and its no fun to have your yogurt smelling like chicken curry hah! I bought mine this summer and have used it twice. Once for beef broccoli ( not much better than what I could do on the stove) but the second time I made chicken noodle soup cause I had a sick kiddo. I did not have any leftover chicken so I put in raw chicken and it came out perfect. The flavors melded so well and it was done in 45 min. It was delish!!! Keep trying cause I will too. The instant pot sounds similar to a pressure canner in some aspects. I too have always been a slow cooker kinda gal — maybe I should consider branching out 🙂 because yes!, cooking for 6 takes a lot of time sometimes. Thanks for the review! I’ve definitely got something to think about now. Try meatloaf in the instant pot! I used my normal recipe and it tasted so much better! Was so moist!! I bought one, a Black and Decker recently, after seeing my daughter, a teacher, throw stuff in hers and have a meal shortly thereafter! She SWEARS by hers, but she HATES to cook and does not even have much time to prep a big meal. She has two teens and a 9 year old, so she is all over the place once she gets out of school! But, I will say, I like it for cooking meals that I want leftovers for the week. I did not like the pork chops I made, but could have been user error. Chicken is my favorite, it really is fork tender. I use recipes on the internet, ones I find just browsing. As for the ring, I hand wash it, then put it in a mesh bag in the upper rack of the dishwasher, no problems yet. I do like it to use for last minute meals, but as empty-nesters, I don’t use it all that often! CORN ON THE COB. 1 cup water, add butter & salt and put those fresh corn cobs in there (set on manual for 4 minutes). So delish and the kids love it! We made cajun chicken pasta that was delicious too. But I was stressed and worried the noodles would be mushy (they weren’t). Between sauteeing chicken and peppers then adding noodles, heavy cream & parm all at different stages it felt like I was going to get blasted by steam and I was telling everyone to stay away from the counter! NOT relaxing. I’m keeping mine, but the jury is definitely still out. I want my life changed though! Thank you for this post. I’m still thinking the Instant Pot is not for me. Cooking is relaxing and therapeutic for me and this doesn’t sound like it would be. I think the only life changing part of it for me would be that my anxiety would go through the roof. LOL! 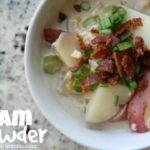 My cousin has her own website/blog about the Instant Pot – tons of recipes! She even has a whole blog post about a beginner’s guide to using one. I hope you find it helpful! I’m not into all the prep so I rarely use for anything but oatmeal. It cooks the oats in a magical way. Make oatmeal in it!! I use mine for boiled eggs and one pasta dish. And I do love that it will cook solid as a rock frozen chicken breasts, and in 20 minutes it’s perfectly shreddable chicken. The main thing I don’t like is that all the directions never account for the time it takes to build up the pressure. So it may say only 20 minutes of cooking, but could easily be an additional 15-20 while it builds up the pressure. Thanks for such a lovely blog! I also give my Instant Pot the stink eye for fear it will explode, but I would keep it for the boiled eggs alone. It doesn’t matter if your eggs are fresh from the supermarket, they will peel perfectly if you make them in the pressure cooker. That alone is worth it. We also have two other recipes that are staples in our house: Goop’s Shredded Korean Chicken and Meredith Laurence’s Saffron Rice with Chickpeas (which we make without the chickpeas). I find the BEST recipes on Pinterest and The Larson Lingo Blog! Step by Step recipes. I was scared at first too but these have made it easy and I use it all the time now! i LOVE my Instant Pot but I must admit I would have never bought mine if my slow cooker had not broken. But I started off slow using the instant pot but now that I have the hang of it I really love it. The thing that helped me tremendously is when one of my friends would say I made the best meal in my Instant Pot the other night. I would ask questions and get her recipe. I know some of the recipes I find are more high end”special” recipes that I would only cook on a special occasion but the simple family type dinners are out there. Don’t give up try pinterest. I purchased mine at Williams Sonoma and they have some great recipes, their Lemon Chicken is so good. I keep the book that came with my Instant Pot in the top drawer where I cook because I refer to it often to get cooking times. I do like to cook from scratch . . . no cream soups, packaged spice mixes, really no prepackaged anything if I can help it. Just a personal preference of mine. Good Luck exploring recipes! I also love to cook and I find cooking dinner relaxing. I didn’t enjoy using the instapot the one time I used it. My husband is the one who bought it and he has only used it once also. oh you can definitely prep in the morning and throw everything in before kids go to school! on the contrary you can throw in frozen meat and it defrosts for you also which saves so much time. my faborite thing to cook is kuhlua pork! Yes yes yes on so much of this! First of all, the manual should really spell it out for you that it has this whole 10-15 minutes of waiting for it to come to pressure before the timer starts! I had no idea if anything was happening or if I was doing it right once I set the timer. Second, the wobbly valve had me googling too. haha. Third, if you make pasta in it, it’s so easy to overcook it! You really do have to focus for some of these recipes or they can get ruined quickly. (Like my first mac-n-cheese attempt! Not great.) I definitely don’t think it’s life changing but maybe I just haven’t found enough recipes I love that I can do easier in the Instant Pot vs crockpot/stove/oven? I am no help in the InstaPot department; however, I did just get an air fryer. Do you have any experience with one of those? I am also told they are life changing and need some serious guidance! Sheaffer has one and LOVES it!! I don’t understand these at all. I work outside of the home and I want dinner done when I get home so I use a slow cooker. I have no desire to start cooking when I get home. My husband does cook a lot of our meals (he works nights) so maybe he would like this? I’m good with my slow cooker. I think the appeal of the insta pot is that it cooks frozen meats faster than a crock pot. If I forget to take out meat for supper or put it in the crockpot, I can still have frozen chicken into shredded chicken within 30 minutes. I am not in the “it has changed my life” camp BUT I do really like mine. It’s amazing for hard boiled eggs and we use it to cook rice and baked potatoes (I am infamous for forgetting to put potatoes in the oven an hour before dinner so the IP saves me). I also really love it for spaghetti squash. Really, anything that takes a long time to roast in the oven, to me it’s a game changer to be able to cook it much faster in the IP. I also like how doing chicken in the IP for shredded chicken is faster than the slow cooker and the meat comes out so tender! 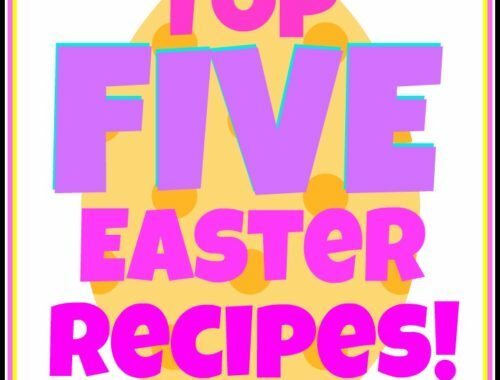 As far as full recipes- I’ve had good luck with many from Pinterest but have definitely had a few flops. I think it’s just trial and error! The more I have used mine the more I like it and feel comfortable with it! I have the exact same Instant Pot. It was super confusing to use at first. I have only used it a few times because, like you said, the slow cooker is just easier. Maybe after reading more of your attempts at recipes in it I will try to use it more. So here are my 2 cents….Both my husband and I work full time and we are gone from our house 10 hours a day and we have 2 school-aged kids that participate in after-school activities. I wanted one late last year and decided to put it on my Christmas list. Knowing that I would most likely get one I started doing some research and gathering tried and true recipes off of blogs and Pinterest. Needless to say I was a Crock-pot girl and thought I would never not need it. The problem with the slow-cooker is that there are only so many things you can put in there and leave it in for 10-11 hours a day and it not be scorched or dried out when you get home to eat. Enter the Instant Pot! We LOVE ours and haven’t used our slow-cooker as much since buying it. I love that I can saute chicken in there and add some pasta and other ingredients and put the lid on and have a meal in 20 mins and I don’t have to sit and babysit noodles boiling in a pot on the stove or stir the sauce and make sure it’s not splattering. I also love that I can get home at 6:00 and throw together soup ingredients in there IP and it be done in 20 mins and taste like it’s been in the slow-cooker all day. All in all I think it depends on what your situation is. If I was a SAHM I would probably use my slow-cooker more and probably still use my IP but because of the time constraints I love the IP. I also like to make dried beans, try these refried beans, https://pin.it/ewls3dlnuuwrxm. I used it every day the first week I owned it, still like it even though it’s only an “instant” after prep and pressurization. I finally took mine out of the box this week. I made chicken and noodles and then beef stew last night. Both were very, very good. The meat was so tender. I too was afraid to use it(actually it sat in the box for over a year!!) I am saying that I pretty much love how everything tasted but the prep I agree was a little longer. We have the Power Pressure Cooker XL and got the big one so I can do canning in it too. Now that I know how to operate it I think I will try canning my carrots and beets this fall!! Shay, I was as conflicted as you. My IP scared/intimidated me. But I will say the more you use it, the more comfortable you’ll be. I love cooking rice in it and have since got rid of my rice cooker. But most of all, I use mine to cook meat. Whether cooking from frozen (https://abountifulkitchen.com/cook-frozen-chicken-instant-pot/) or not (https://www.melskitchencafe.com/instant-pot-slow-cooker-smoky-honey-chicken/) (https://www.365daysofcrockpot.com/instant-pot-sweet-and-sour-country-ribs/) (https://www.cookingclassy.com/instant-pot-creamy-tuscan-chicken-pasta/), I have loved the results. My advice to anyone is to give it a few more tries before giving up. I’m so glad you’re going to “keep on keepin’ on, Shay!”. I really think you’ll come to like it. One suggestion I have is if you are a morning person, you can still do some prep for your Instant Pot in the morning. I usually chop veggies and combine the sauce/spice/seasoning ingredients in the morning. So, when dinner time rolls around you literally just have to throw everything in the pot. Works great for busy afternoon/evenings. I got one for Christmas last year and love it but I wouldn’t say I grab it more than my slow cooker. The first time I used it I was definitely nervous – something about the word pressure and steam coming out just makes me nervous something is going to blow up ha! I love it for meal prep and such – for rice, beans, chicken for meals/lunches throughout the week, hard boiled eggs, any kind of potato. My stepmom has one and she cooks EVERYTHING in it and LOVES hers, I will have to get a couple of her favorites and come back to link them. I do have that cook book that you got for it, I obviously need to look through it again because that roast looks so good! Totally had the same experience- my mom bought me one and I didn’t open it for a year! Now I LOVE it. Its best for really tough meats that need to cook a long time (ie. short ribs, pulled pork, etc) because I’ve found it cooks in less time than a crock pot but has really yummy concentrated flavors where the crock pot tends to wash flavor out after all that time. Also, soup! Check out Nom Nom Paleo’s instant pot recipes- so much flavor, so delicious, so easy! I made your Chipotle Chicken in my Instant Pot last night – just dumped it all in set it for 20 minutes and made the rice and prepped the toppings. The one thing I learned to remember was to add the sealing/coming to pressure time. Also, I have always hand washed all the parts of mine. I guess I feel like it has helped me so much, that I should treat it nicely with a hand wash. Ha :). Like you, I was a slow cooker queen. However, I finally gave in and got an Instant Pot for Xmas last year and have been in love ever since! Some of my favorite things are: 1- Artichokes – turn out amazing, my kids love them! 2 -The delay start allows me to pull dinner together and have it ready when we are. 3 – Less dishes to wash, makes clean up so much easier!! I’m excited to follow you on this adventure to see if you come up with more reasons to love it!! 2). IP is good for rice and hard boiled eggs! Shay, I’m so glad you’re sharing all this with us, so I’m going to wait to see if it grows on you before I get one. I look forward to hearing your next post about all things IP! I really do think it just depends on what you are making. I find soups to be the easiest to make in the instant pot. Shredded chicken also. I love it for the one pot convenience, the fast cooking, AND (and this is a big one) fast clean up, but I get that a roast isn’t necessarily the best for testing out the fast cooking part bc it is such a big piece of meat. I usually make my roasts in my dutch oven and it is a Sunday meal for us so time isn’t usually an issue. I am not a huge fan of the crockpot because of the clean up. The liners are hard to find and expensive but the instant pot stainless steel pot cleans so easy compared to the crockpot. I use mine about once a week sometimes more but usually at least once a week because we have something with shredded chicken at least once per week. Put chicken breasts in, cover with broth, set to poultry, lock lid and forget it about it til time to shred. So easy! I hope you do a few more of these posts over time. I’m still over here on the ledge wanting to jump in the pool, but I just can’t bring myself to do it. I want my life changed too! Haha. I don’t use mine as much as I should but I love it for hard boiled eggs and rice. I’m famous for forgetting to thaw meat and it will cook frozen meat much faster than any other method. I second the mac and cheese link listed above and this recipe is delicious! https://againstallgrain.com/2018/01/05/whole30-instant-pot-chicken-soup-recipe/. My favorite thing about it vs stove top or oven is that I don’t have to watch over it. I can be making some other part of dinner and just waiting for it to beep. As far as cleaning–if I’ve made something that sticks somewhat or has a strong odor, I usually fill it about half way with water and 1/2 c. vinegar and set it to steam for 5 minutes. Then I can quickly hand wash all of it and the stuck-on parts come off easily and the odor is gone. I’ve only washed the insert in the dishwasher and would also be too scared to wash the lid any other way than by hand. Had the same experience with the valve! ha! I also stood there afraid the sucker was going to blow the top on my first time. I’ve been using mine for about a year consistently and love it. I would agree…not instant at all but I have found I think the meat is alot juicier and more flavorful than in the crockpot. Also…I work outside the home 8-5 and even when getting up at the crack (before) dawn I would end up running late so many days and forgetting to get my crockpot going. For that reason this has worked better for me. I completely understand the nervousness. My husband bought it for me for Christmas last year and it sat on the hearth for a month after Christmas because I was actually annoyed that I had to find a place for it. I finally took it out of the box and while I don’t use it often I’ve loved all the things I’ve made in it. I’ve made ribs several times and they are definitely done quicker than the oven. I’ve also put quartered potatoes in the bottom with a meatloaf on the trivet on top and my husband swears it was the best meatloaf and then I could just mash the potatoes in the same pot and it was done in 30 minutes as opposed to an hour in the oven. I also LOVE to do meatballs and an entire, whole spaghetti squash. So easy and delicious! So I agree it’s not like the crock pot where you can just dump all the ingredients and walk away but I have found several recipes that it does make things quicker, uses less pots/pans, and it is great for when you don’t have the ingredients and still need to run to the store for a few things! I absolutely love my slow cooker and basically only make meals using it. My husband is more adventurous and he wanted to try the instant pot. 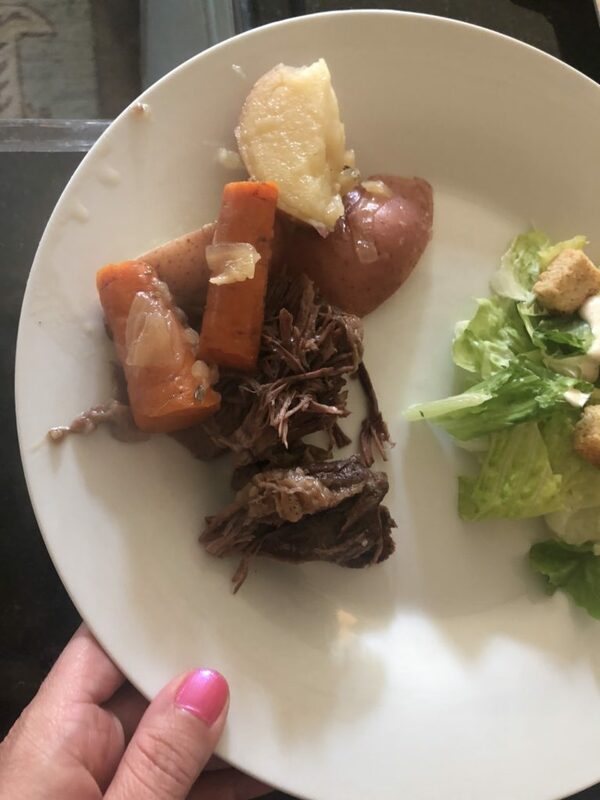 We bought it and tried a few recipes but we felt like the meat came out greasier than it ever did in the slow cooker and the prep was as much or longer. The steam release also made me nervous for myself and the kids. We ended up giving the instant pot to a friend. Hope you have better success! I see your point on how much time is involved in some of the recipes, but it is convenient for making hard “boiled” eggs and for cooking chicken. I made a chicken tortilla soup in the instant pot and it was super easy. Literally I put the chicken in and dumped cans of vegetables/broth in the pot and turned the timer to whatever the recipe said and it was done! I just had to shred the chicken when it was done. So quick and easy. Whenever I have cooked roast, it does take a little longer to prepare, but quicker than the slow cooker. I still love my slow cooker. . . or rather my many slow cookers, but I have found a place for the instant pot in my meal planning endeavors. I found the best place to gain some comfort with the IP was to read some of the FAQs and first-time guides on Instant Pot FB groups. That is where I definitely think the manufacturer dropped the ball. I bought one a couple years ago and before using it I threw out my rice cooker and crockpot to make room for it. I’ve used the twice and was not thrilled with the meals so it has sat in my pantry for two years. I hear it is really good for lentils and soups so may try it again. First time commenting, but I heart my instapot, ALOT. I rec’d it as a gift and didn’t use it for months. Once I got over it and unboxed it, it did take a couple of times and simple recipes before I got the hang of it. It always takes a few extra minutes to “pressure up” and then begin cooking. You kind of learn to add about 10 minutes onto cook time, for that reason. I use it probably 3 to 4x a week, now. Even if it is just for a side of risotto. In my opinion it makes everything taste better. I’ve done Salmon, Pork Loin, multiple soups, roast, risotto, hard boiled eggs and other sides. And everything just tastes so flavorful. I am one of those people who the instantpot changed my life! I work full time and have a hate hate relationship with my slow cooker because it dries everything out. There was definitely a learning curve, but as someone who cooks daily, if you use it regularly, you will figure out what does and doesn’t work for you quickly. I LOVE to make soups in mine. And roasts. And lots of other things too, but I think mine gets a TON more mileage in the winter months because of the soup thing. My number one rule of thumb on ALL meats no matter what a recipe says is to let it natural release for at least 10 minutes. That would have probably been enough to finish cooking your roast, especially if you let it fully natural release, and that keeps it from sucking out the moisture. I put a towel over the valve to let it release the rest of the way. One of the biggest issues I see with a lot of recipes is that they are using the wrong cook times. So I often use the ideas from the recipes and modify it to my cook time and use natural release. This is a really good chart to use for cook times and I have found to be pretty accurate. However, like I mentioned earlier, I ALWAYS natural release meats for at least 10 minutes, and they are always perfect! https://www.pinterest.com/pin/9922061663129325/ If you go to her website, she has a new and improved sheet which I haven’t tested yet, but the image on that link is what is hanging on my fridge. Also, ALWAYS read reviews on recipes before you make them. You can find out a lot about it from the reviews. Here is one of my family’s VERY favorite meals and I will tell you my modifications. I make it with mashed potatoes and a veggie and my kids literally lick their bowls clean. 1. I use mild banana peppers and I use the entire jar, peppers and juice. My kids don’t like spicy and this has a wonderful tang to it! 2. I don’t personally use as much butter but that’s just because I am always watching calories. 3. I use a whole can of broth. My family goes wild over this gravy! So, I really don’t remember a time that I have actually made a “recipe” in the Instant Pot. I actually do not care for the slow cooker part of the pot. BUT, it HAS changed my life b/c this is what I do use it for: cooking up chicken in roughly 10 min to shred, cooking sweet potatoes/baked potatoes, cooking rice, hard boiled eggs (hands down the best way), cooking pulled pork….basically, cooking meats to shred or cut up for things that would typically take ALOT longer to do. Most meats can be shredded within 10-15 min. Potatoes, rice….it all cooks so beautifully and so much faster in the Instant Pot. So, I am using it that way, and not as a quick version of a slow cooker. Most people I know that use it often are also using it that way, too! So to add a little more to my comment. My overall cook time is probably about the same, and I often skip steps, like searing meat etc. But for me it’s nice to be able to prepare it and leave it, and get kids backpacks sorted or help with homework or get rooms ready for bed etc and not have to tend to dinner until it’s ready. Do yourself a favor and check out the instantloss.com. Her recipes are minimal prep and she has a cookbook for the instant pot coming out in October! I haven’t tried, but I hear the Instant Pot is awesome for making yogurt. Next on my list! We mainly use ours for rice and potatoes, but I would say I use it for meals once or twice a week. I would like to get in a groove and have freezer meals ready to go but not quite there yet! I also follow Nom Nom Paleo, and Amy + Jacky for Instant Pot inspiration. Also, I don’t like it as a slow cooker. Tried it once and it was a major fail 🙁 So I still have a slow cooker for those type of meals. That being said, I have used slow cooker recipes in the pressure cooker, especially ones where it’s basically liquid and meat. As for the lid, I let it cool and hand wash it. When it’s rice or potatoes I just rinse it with hot water and done! One last thing! Sorry for all of the comments! Cooking shredded chicken in it is a game changer. Throw your chicken in fresh or frozen with whatever you like to season and whatever liquid you prefer (I usually use 1 cup of stock) and push the poultry button. Shredded chicken is prefect every time! Shay, check out Skinnytaste.com for IP recipes that you may like. I don’t have an IP but I use her recipe s all.the.time. I dont have an InstaPot and I am the same way.. super on the fence about it. If you’re ever looking for recipe idea though, Gina from Skinny Taste posts a lot of them. Occasionally on IG she will post step by step directions on her story. I honestly feel like that is the only reason I am less hesitant than I was before about maybe buying one. .. Maybe Black Friday. I’m one of those people who have had an Instant Pot for over a year, and I haven’t used my slow cooker since. Chicken breasts can get so dry so easily in a slow cooker, but frozen breasts at 15 minutes cooking time + 15 minutes Natural Release time in my Instant Pot, and they are tender and juicy! Perfect for shredding for any number of uses. And yes, roasts are so good in the Instant Pot–and the ready time of 90 minutes is nothing compared to having to cook it in the oven for 3-4 hours. 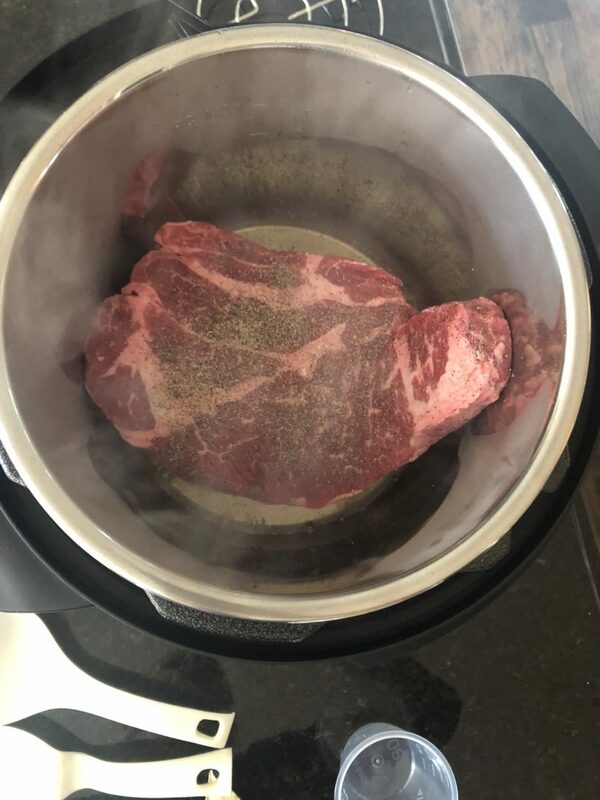 Sometimes I still want to do that just for the aroma, but it’s so tender and juicy out of the Instant Pot…. Someone mentioned hard boiled eggs, and I concur. THEY PEEL EASILY EVERY TIME. Here’s a tip! Check out Mel’s Kitchen Café for some awesome Instant Pot recipes! Especially the ones with shredded pork anything. I have two now (6 qt. and 3 qt) that we use all the time. Here’s some things that we use it for: Shredded chicken in it is fast and easy. Hard boiled eggs are done perfectly. My husband made beef and broccoli last night that was delicious. Corn on the cob is fast and easy and it turns out great every time! Rice is great in it. Cheesecake in the 6 qt. is the best we’ve had. There’s a taco pasta recipe that we LOVE, also Zuppa Toscana soup that is quick and easy. There’s a chicken taco bowl recipe that is good. I cut up red potatoes and put them in a steamer basket – cook 4 minutes and use for my potato salad, they come out perfect (you can also wash the eggs, place them on top of the potatoes and hard boil them for the potato salad at the same time. I make banana bread in it now all the time. Rice pudding is another that my hubs likes to make. I’ve poured a can of sweetened condensed milk in a mason jar for dulce de leche – yum! Applesauce is fast! Do get an extra ring – one for savory, one for sweet. We have the best luck putting the savory ring out in the sunshine for awhile, that seems to take care of odors the best (hand wash first, then we hang it on the hook in the sun for a couple hours). Times on recipes are misleading because of the time it needs to come to pressure but once you close that lid, you don’t have to watch or worry about it. Hope this helps give you some ideas! I just got one a week ago and was a little nervous too! You should join the Facebook group instant pot community. They have so many recipes and people are constantly giving tips and feedback! I read some of the comments on there and decided to make their “crack chicken”. It’s chicken with ranch, cream cheese and bacon. It only took me about 25 minutes total!! Through that site I saw a bunch of people making yogurt and mine has a yogurt button so I thought why not? It was so good but took 10 hours (overnight). Next, I decided to try my own recipe and just added chicken and salsa in it cooked for 10mins and then added black beans and corn and did it for another 5 and it was awesome on tortillas! I’m for sure hooked! I’m going to try soup next week which makes me a little more nervous but I’m hopeful! I find the IP so intimidating. Both my parents love to cook – so last Christmas I bought one for them (along with a cookbook) and overall they seem to love it. But funny thing – before I bought it, i had asked my mother-in-law if she had ever used one. To which she responded yes and asked if my hubby and I use ours. What?!? Y’all I had no idea we even had one. My hubby’s grandmother gave us one two Christmas’ ago and it’s literally still in the box and I have not touched it. I’m not even sure it’s an IP – might just be some other generic brand pressure cooker. But reading so many blogs and seeing recipes on Pinterest about the IP – now has me curious. So I might need to go find that box, unpack it and see what the big deal is. Again though – I find it intimidating. 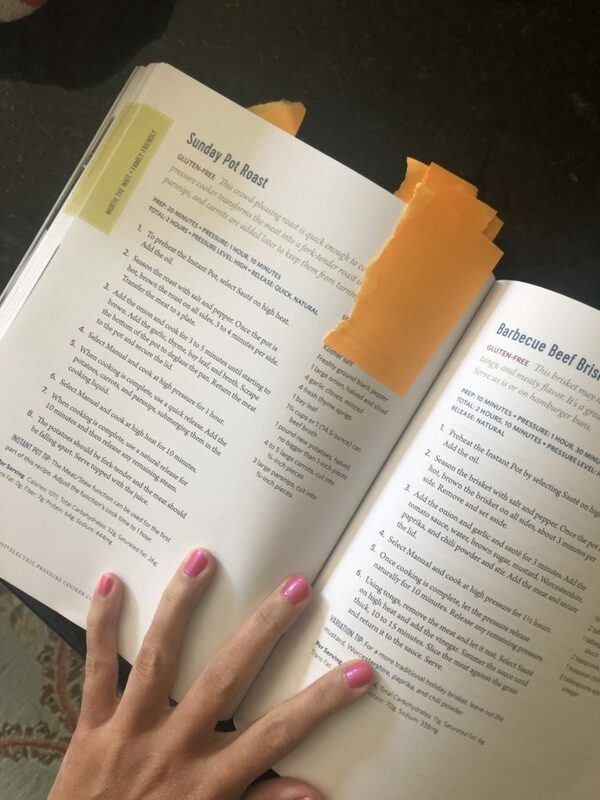 I like the whole 10 minutes of prep work in the morning and dinner is ready when I come home type of thing…..so you can bet your bottom dollar that I will be coming back to read through all these comments and hopefully get some inspiration! I just got the IP too and I’m sold on it! I only pick recipes that are truly fast. I made a lasagna pasta dish the other night where I browned the meat then dumped the uncooked noodles, water, & sauce, closed the top and it was done in 15 min. I’ve also made white rice in it which was so much easier than watching it on the stovetop. Talk to Mel Larson! She is the queen of healthy, quick meals her whole family enjoys! She’s a working mom, too & has converted many recipes to ip & everyone I’ve tried has been delicious & easy! Seriously, she’s your girl! She’s also like the sweetest person out there too!! The indian shrimp recipe is very tasty! Costco has an instant pot cookbook that I absolutely love. Most of the recipes take hardly any prep time, and my family’s favorite is Shredded Chicken Taco from beginning to end is about 15 minutes! I use mine the most for rice, takes about 20 min, but it’s always perfect and never hard or half cooked. Lots of times I have something in the crock pot and need rice so I use the instant pot. I didn’t read through all of the comments, so someone may have already said this…but I love using my IP to make boiled eggs! They come out perfect every time! Not a fan. I’ve decided I’m a slow cooker girl. The warm up, cook time, pressure release is not dinner fast. I often am way off on when it will be done and have to order pizza 😡. I sold mine. It’s not for me. I love my instant pot too once I got the hang of it!! Chili is great to make in it:-). Since fall is coming, can you do an updated morning, evening skincare routine/products post!!! Thank you and I love your blog! Totally off the instant pot subject Shay, can you share your favorite Circle E candle scent for the kitchen…Thanks! I love a lot of their scents (they really do make the best candles! ), but their pumpkin spice one called, Country Morning, and then Apple Strudel are my faves! I can pretty much agree with *everything* you said here! I have only used mine a couple times and have had it since last Christmas. I don’t know… I am a bigger fan of the slow cooker, because I like to prep it in the morning and be done. I still remember my Mother using her pressure cooker to make Artichokes…which was just about the only thing I remember her making in it at all! That was back in the 70’s! I am with you, I like to plan and prep my meals in the morning, it makes me feel accomplished to know it is in my crock pot and simmering away…plus the smell wafting through the house in the afternoon! Love it!! When I cook chicken in the crock pot, I really don’t like the flavor or texture. But chicken cooked in the instant pot is delicious! I will never cook chicken in the crock pot again. I’ve found good, healthy recipes on pinterest. I also boil eggs in the instant pot, and they’re perfect! We bought ours to make make boiled peanuts during football season (I’m in Georgia😁) Amazing boiled peanuts in about an hour and a half! Of course we love it for other things too. Check out Instant Loss!!!!!! Her blog is awesome. The $15 menu plan worked wonders for my family. I do not like the almond pulp pancakes but everything else is great!!! Totally off the IP subject Shay, could you please share what your favorite Circle E candle scent is for the kitchen. Been wanting to try them and would love your opinion. Thanks! I love a lot of their scents, but my two faves are Country Morning (it’s their pumpkin spice scent) and Apple Strudel 🙂 . I don’t have an IP but I do have the crock pot express. Same basic thing but the inside pot is non-stick. I’ve found that I use mine for lots of prepping to freeze—like dry beans (I don’t like the taste of canned) or shredded chicken I’ve done around 8 pounds at once and it only took about 30 minutes. Total. There are some great chicken recipes that are done in around 30 minutes that we love. I’m hoping you get to the point that you love yours because we all need a cookbook that gives real times and tastes great! I’m not a fan. I like the crock pot and my house smells all day. I also like cooking and I feel this would just be another thing in my kitchen. A few of my families favorites…Salsa Chicken, Brown Rice, Homemade applesauce, hard boiled eggs. It also makes great corn on the cob Just to name a few. Hi, I’ve made plenty of meals in my insta pot and I love it. I do think it depends on the recipes that you choose, but it normally takes me an 1 and 15 mins including prep and clean up. I also hand wash the bowl, lid, and remove the rubber part to make sure no food particles are stuck there. The hardest part I think is finding recipes for quick dinners. Some recipes say the cook time is 45-60 mins but if you include prep and clean up, then that’s too much time for me to do on a weekday. Perhaps you can create a cook book once you’re perfected your dishes?!? I love my Instant Pot! I use it every week to hard boil eggs. So easy. 6 minutes to cook, 6 minutes to release, and 7 minutes or more to chill in ice bath. They peel perfectly every time. I also make a big batch of rice, make individual portions, and freeze. It’s ready pull out of the freezer and thaw (on counter or in microwave) for meals. So convenient. I made a chicken spaghetti recipe, adding the uncooked spaghetti pasta at the last ten minutes on sauté function, and it cooked perfectly. Love it! It sounds overwhelming. 😉 Sticking with my crockpot for now. Would you ever want to do a VitaMix post? I’m definitely not using mine to it’s full potential. I’m probably not either! I use it all the time to blend things, but I probably should diversify a bit more. I made a hot tomato basil soup one time in it but it was so hard to clean the tomato out. I’m in the same boat as you… nervous everytime I use it and feeling like the prep work and time it takes to pressurize doesn’t really save a lot of time. But everyone says they love that it doesn’t heat up the kitchen in the summer. I take out the sealing ring and wash it in the dishwasher everytime and hand wash the lid, the red thing and it’s plastic seal, the wiggly knob and the pot. I also bought a second ring for sweets bc the ring definitely takes on the savory smell. Did you know the handles on the side act as a lid holder? Just turn the lid on it’s side and it rests in the slot of the pot handle. Make sense? I love the beef and broccoli recipe, taco pie and super easy shells and cheese! We love our Instant Pot, especially my husband who’s always looking for a new recipe. His favorites to make are the Easy Gumbo Recipe, IP Sweet Potato Chicken Curry, and Bang Bang Shrimp (or chicken). I really liked the Pork Fried Rice in the same cookbook you have (I used chicken) and the IP Egg Roll Bowls (a dipping sauce is good with it). Everyone has a big fail and mine was my first one. It was Beef with Broccoli and I made the mistake of following a recipe which called for cooking the broccoli in the IP. Broccoli soup anyone? Since then I avoid recipes that are just as easy to make on the stove. The eggs didn’t really work well for me either. I tend to prefer the one pot meals that have rice or pasta in it but doing side dishes or meat works well also. I’m not a big fan of food done in the Crock Pot other than things like chili but can see it being handy if you’re away at work all day. The Instant Pot hasn’t dramatically changed my life but it’s a really nice addition. I like that you can sauté and cook in one pot and it’s easy to clean. I take the seal out every time and wash by hand along with the lid. I tend to wash the pot by hand also because there’s just 2 of us and we don’t run the dishwasher everything day. I have an extra seal for non-savory meals and leave them out to air between meals. I think you’ll probably end up liking it once you try more recipes and doesn’t have to be either this or the crockpot. People swear by yogurt and also cheesecake. Good luck! I can’t leave an opinion of my own on the Instant Pot, or “Insta Pot” as I referred to it until now, because I still don’t have one (not feelin it yet). I do know, I’m always wishing I had one when I forget to thaw any sort of meat for dinner! All of you talking about cooking frozen chicken in 15 minutes makes it really tempting to buy one. Anyway, my friend swears by it and uses these freezer meal recipes she got from here, https://lambertslately.com/tag/instant-pot . It’s a whole “freezer meal boot camp” you spend an afternoon prepping the meals, putting them in containers, freezing, and enjoying another day. She’s able to come home from work, throw the frozen meal in the Instant Pot and it’s done by dinner time. Thought I would share for those of you who like this sort of thing. One of my favorite things to make in our is homemade cinnamon apple sauce. After the apple sauce is made, i then wash out the pot and can the applesauce in small jars. They are shelf stable as long as the jars seal (All my jars have sealed when using the instant pot) and it takes far less time than making it in the crock pot. I use my apple slicer to cut up the apples then I place them with a little water, cinnamon, lemon juice and a little sugar and then turn the pot on. Once the pot has pressurized the apples only need to cook for 3 minutes! I then use my immersion blender in the same pot. I would say in less than 25 minutes I can have homemade applesauce from start to finish. Then its only another 15-20 minutes or so and they are canned! So yummy! I make a super yummy homemade Mac n cheese in the instant pot. I found the recipe on Pinterest and it is a huge hit anytime I make it! Dump half the ingredients in let it come to pressure, cook 4 mins, release and then add the last half of ingredients and stir. All together 15 mins!! Easier than making a box and so much better!! Plus I always make my rice in it. I have also made chicken or foil packs of fish and veggies. Foil pack for each person on top of the trivet inside the pot! Super yum! So many comments. I’m in the same boat as you. Not life changing but I do think it’s great for making hard boiled eggs, potatoes, rice, quinoa, etc. also try making cold start yogurt, it’s delicious!!! Also I hear it makes amazing cheese cake and egg bites. I love it – am a bit puzzled as to why you are not using the timer on it ? I thrown everything in first thing in the morning , set the timer for 6 hours. It comes on by itself and cooks away before I get home from work. food isn’t over cooked as it would be in the slow cooker. I can also thrown everything in from frozen ( I don’t bother pre sautéing it as I don’t find if affects the taste). A whole chicken takes 30 mins – it doesn’t bother me about the getting to time. I bung it all in , set it and get on with something else without having to be around as I would if were on the stove. I love it so much I have 2 and my daughter has one too ! I have a question about that…if you put everything in there and it’s not hot, isn’t your food sitting out all day room temp? Is your meat sitting out room temp? I saw that there was a timer option, but I don’t know about just leaving food out not heated or refrigerated all day. I was curious about that, so I’m glad you commented. I need someone to reassure me on this one! You are better than I am. I took my instant pot out of the box, did the water test, looked at a few recipes. Then I sold it and bought a bigger capacity Air Fryer, which has been a life changer for me! It can do almost everything the instant pot can do, only it eliminates the time to pressurize and release. Cooking shouldn’t be so scary! ha! There is almost nothing I can’t cook in the Air Fryer, and bonus, it is THE BEST for reheating leftovers! And it cooks things quicker as well. You can also do whole chicken from frozen, etc. I absolutely LOVE my Instant Pot and my fiance often makes fun of how giddy it makes me. The manual and other materials can definitely be intimidating and tedious, but I found that if I just google a general recipe- i.e. Instant Pot brisket- you will come up with a ton of bloggers that have recipes with simple, step by step instructions. (This Maple Smoked Brisket is A-Mazing! https://barerootgirl.com/nourish/2015/09/18/maple-smoked-brisket-instant-pot-or-slow-cooker-recipe/ ). The people that love and use it the most have mastered it and love to share the secrets. I have one and have used it about 5 times. I just can’t get on board. It wasn’t the game-changer for me like for others. I feel certain if I kept with it I would learn to love it but I can’t seem to dig up the want-to. 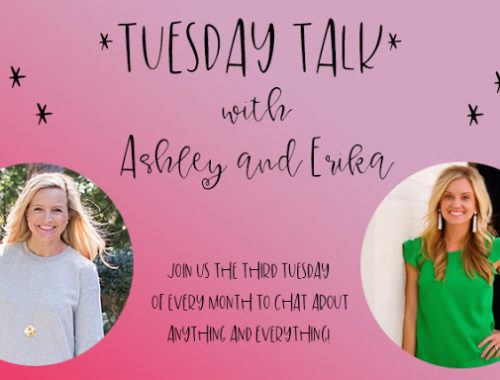 Shay – It still makes me nervous!! After buying your slow cooker cook book (and I have 2 others also 🙂 I was making “prep chicken” in the crock pot weekly. I liked it but always felt it was a bit watery. Now I make it in the instant pot every week. I put the chicken breast on top of the enclosed trivit and then put about 1/2 cup of chicken broth in the bottom. Once its done I pull out the chicken, dump the liquid and then put the chicken back in the pot and shred. I add garlic salt, pepper and onion powder and it is GREAT!! Best part is that since it stays warm for 10 hours in there I can cook it before I go to bed or in the morning and can shred it up when I am ready!! My favorite recipes are our own family favorites converted to IP recipes. Takes the stress factor out immediately. Oh and the Turkey Meatballs with Penne pasta recipe in that cookbook is one of our faves and in the constant rotation!